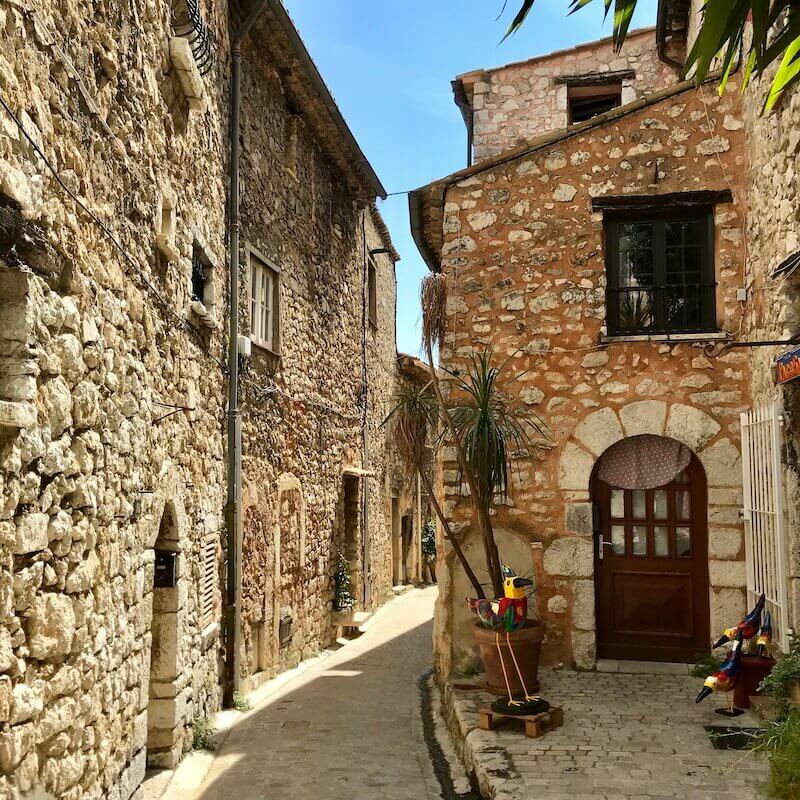 Karen from Urban Pax shares her guide to most charming medieval villages in France that are close to Nice on the French Riviera. The sun shines almost daily on the Cote d'Azur over chic beaches and a cool lifestyle. And people do come here from all over the world to be a part of the French Riviera vibe. Yet, not far from the glamour and glitz of the Riviera, enchanting French medieval villages are a welcome contrast. These small medieval villages in France are nestled on the hilltops of the French Riviera. 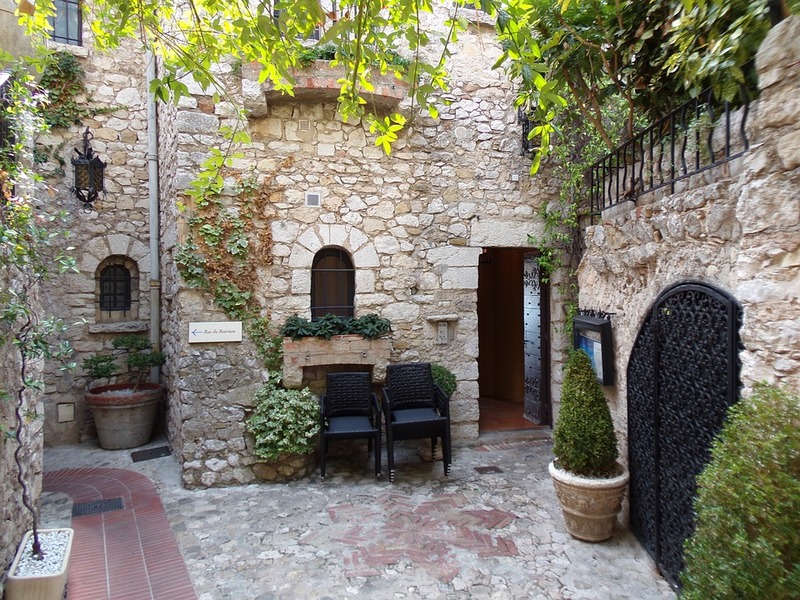 Most travelers visit the famous manicured village of Eze and its chic hotel, as well as the artsy medieval village of Saint Paul de Vence. Of course, both of these old villages in France provoke oohs and aahs on everyone's lips and with good reason. 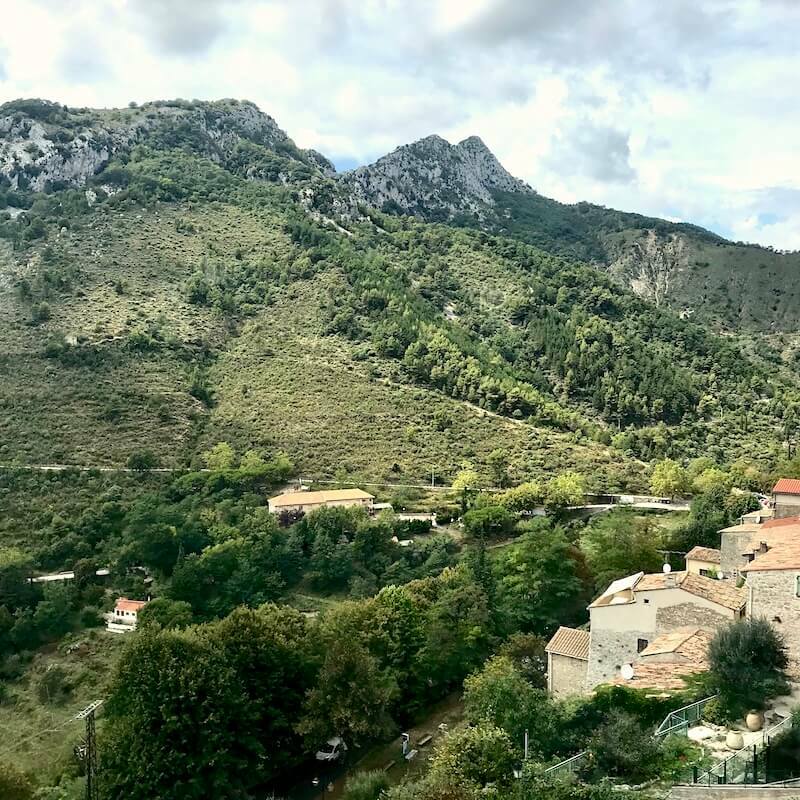 But lesser known villages in the Alpes Maritimes region are definitely worth the detour for their authenticity and charm, each in their own way. And that's where we're going! 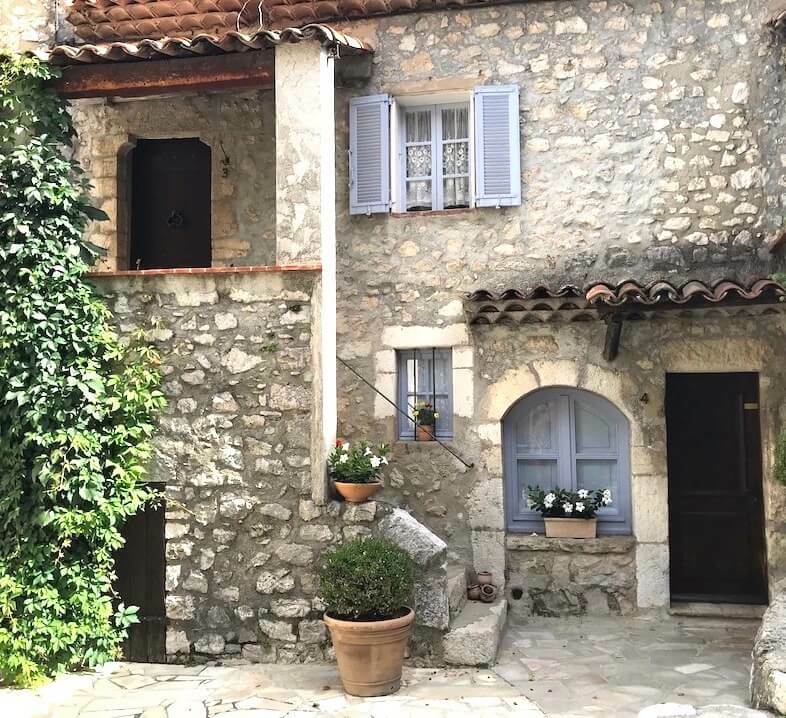 Join us as we discover 4 lovely french medieval villages in hidden corners of the South of France. and at 800m above sea level, it also claims to be the highest coastal village in Europe. A good portion of the road that leads up to this medieval village is steep and full of sharp twists and turns. But the spectacular views of the valley below filled with olive trees and various shades of blue on the horizon largely makes up for it. 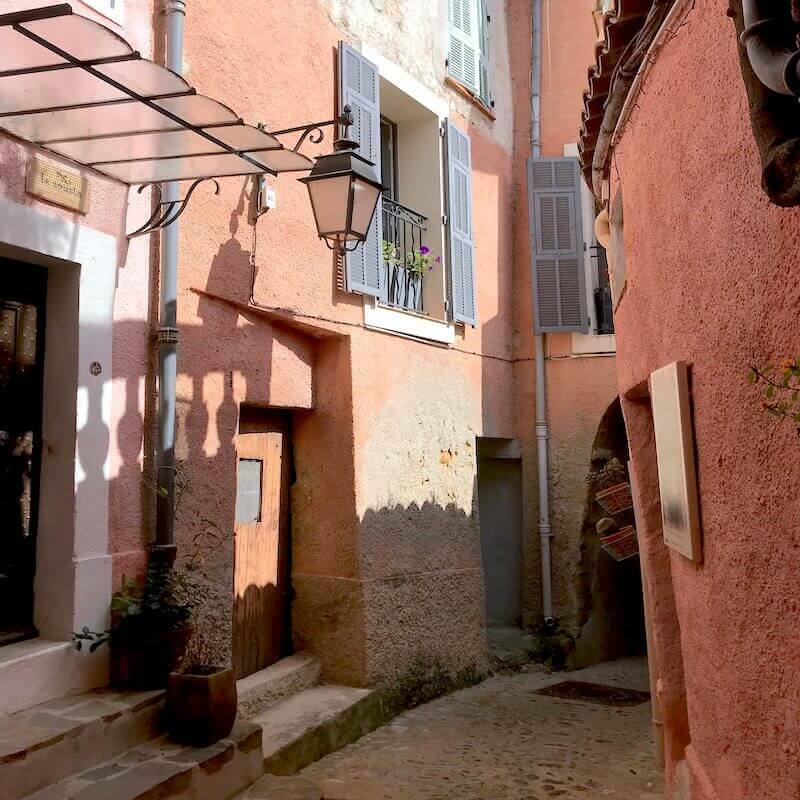 In Sainte Agnes, the cobblestone streets lead to secret archways and peaceful squares. It's easy to imagine what life was like a few centuries ago. Walk – Take a closer look at the houses dating from the 15th to 18th century that line the narrow streets and alleys. Some homes are original, others are restored, but all are nonetheless full of details and character. This massive fortification built in the 1930s was meant to protect France's borders from invaders. The bunkers go down several meters within the rock and for history buffs can be visited for a fee. There is a path not far from the fort that leads to a wide and steep stairway. From here start climbing up until you reach the garden. Our stamina was put to test. But yes it's worth it. The reward? Great views of the village rooftops on the way up! The garden itself is filled with exceptionally maintained fruit trees, flowers, and medicinal herbs. A small donation may be requested by the volunteers who care for the garden but the entrance is free. Above the gardens sits the castle. Actually, we found no castle here, only its ruins. The ruins tell the story of a king who in the late 1600s destroyed the 10th-century castle as punishment for those who were against him. Catch your breath and enjoy the impressive panoramic view of this medieval village. For hikers, there are several paths that lead to other incredible viewpoints as well as other villages nearby. Spring and fall are the perfect seasons for memorable moments in this unique medieval village. Winter also has its own particular charm, but be warned that most shops will be closed. 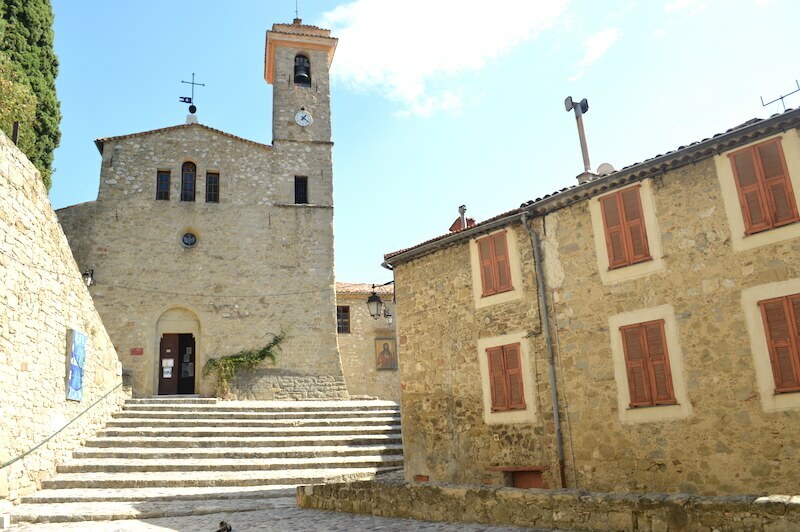 Sainte Agnes is located to the east of the French Riviera, right above Menton the last town before the Italian border. Twists and turns. Mimosa, pine and olive trees. You can almost hear the crickets and smell the rosemary plants. Getting to this circular hilltop village is a slow ride. The suspense builds up little by little around every turn through some luxurious green vegetation. Real people live here. It's a functioning day to day little village and residents are happy to see visitors. Besides its picturesque setting, it also seriously lives up to its medieval reputation. Read the small panels at the old village entrance that explain different landmarks, including the public “lavoir”, a long rectangular concrete basin where women back in the days, washed their clothes. We got happily lost meandering through the village's medieval architecture. 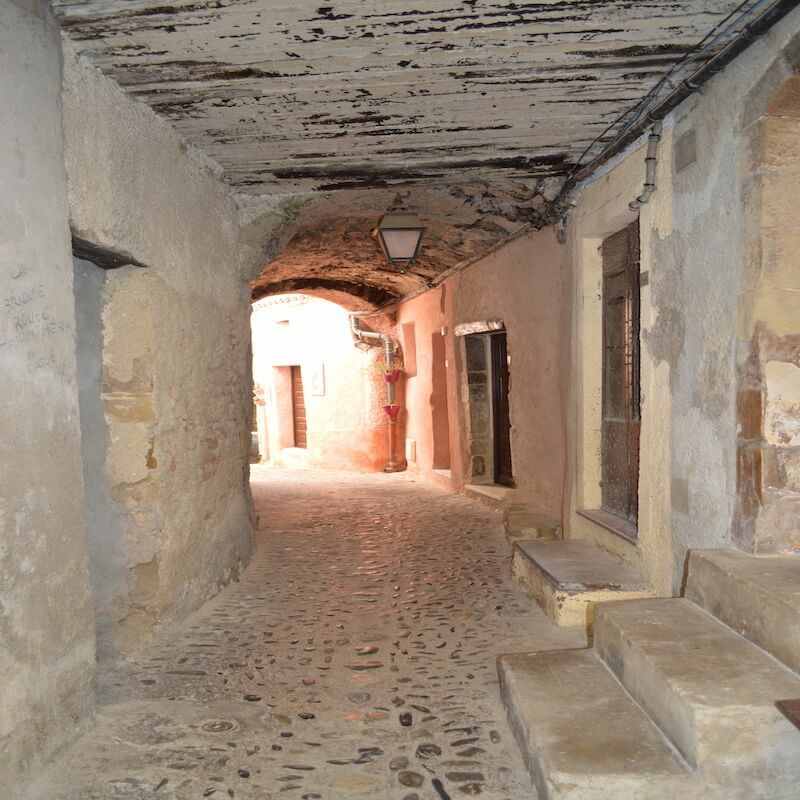 From the 16th century church, the arcades, the stone houses, and arched passages, to the very narrow sloped streets and stairs that lead to secret corners. It all forms a maze of authenticity. The village of the sun. That's the other name for Coaraze. Because of its location, it receives more than average sunlight year round and has numerous sundials scattered around the village . Around 1960 the first sundials were created by famous artists such as Jean Cocteau. Then later in the years 2000, more contemporary artists from the region like Ben and Sosno, joined in to add their own modern touch. Try to find the various sundials as you walk around and explore Coaraze. Picking up a small map at the tourism office will make it easier. Throughout the village, houses painted in warm blues, yellows and pinks are a fresh surprise. These colors are intensified by the sunlight adding a mix of curiosity and poetry to our walk. Just in front of the villages stands a small and simple 17th-century chapel. The Spanish artist Ponce de Leon painted 2 frescoes depicting biblical scenes on the interior walls. He used various shades of blue. This is why in the early 1960's it was renamed the Blue Chapel. For those who are fit and prefer a good hike after strolling the village, a special path close to the Blue Chapel leads up to the ruins of Rocca Sparviera. At about 1000 m in altitude, it takes roughly 2-4 hours to complete depending on your pace. Legend has it that during medieval times, Queen Jeanne after living through a painful family tragedy put a curse on Rocca Sparviera. Consumed by revenge, her curse forced the 350 residents to urgently abandon their homes for other hamlets. Today, the ruins are the only proof left of this phantom village. The hike itself lead us to incredible viewpoints all the way up to the ruins. Another explanation as to why the residents fled is that due to a drought, the village lacked water for too long. But most people prefer to believe in the legend. Ask the tourism office for a map. Proper shoes are required for a few tricky areas. The beautiful French village of Coaraze is 40km from the village of Sainte Agnes (see above) and 30km from Nice. 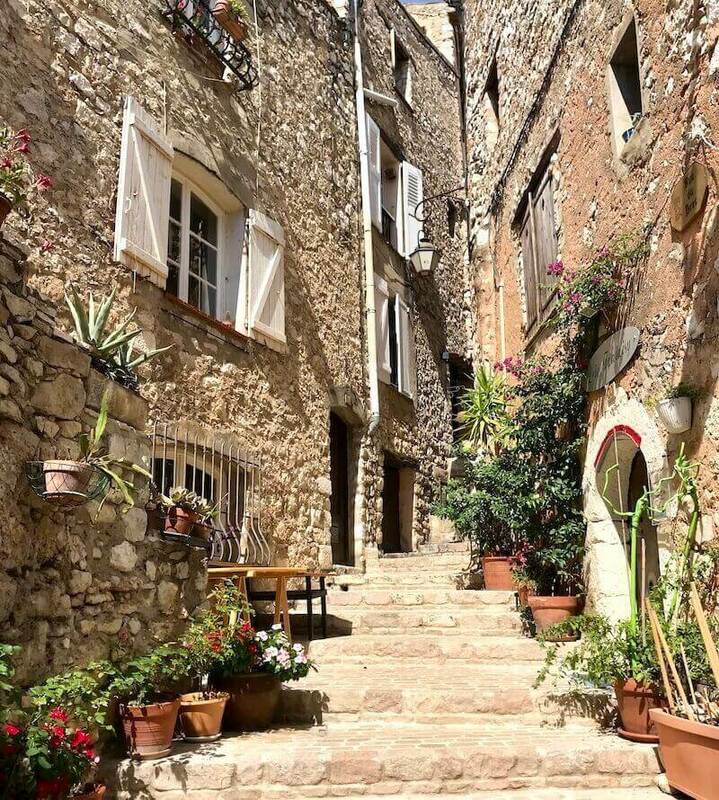 Tourrettes sur Loup is a picture postcard medieval village with flowers hanging from windows and residents who smile when they say hello. Once through the impressive stone archway, the medieval setting played with our imagination and transported us to another era. 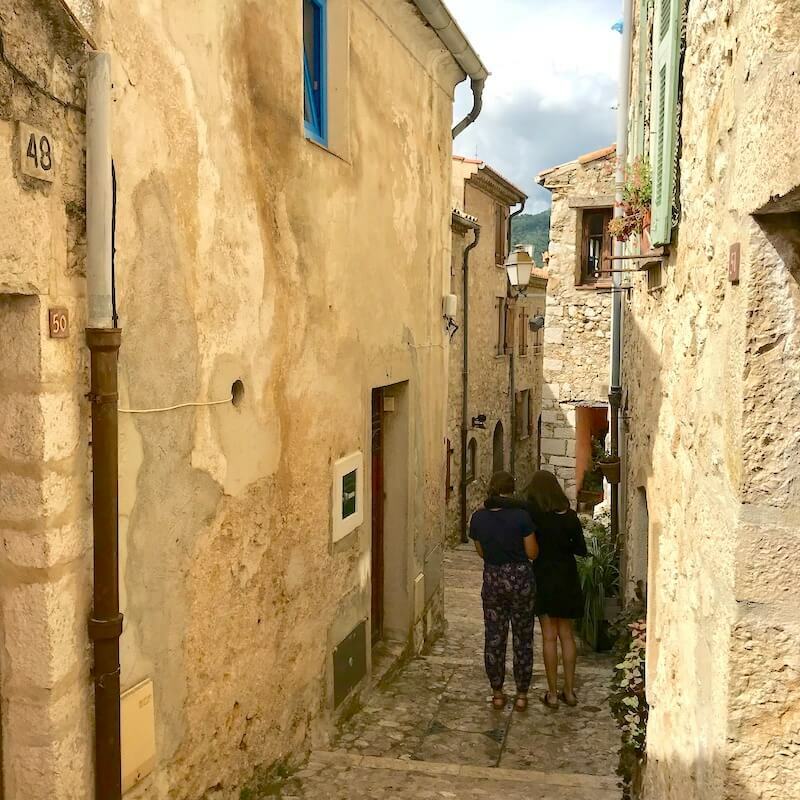 We accepted the invitation to wander and got lost within the narrow cobblestone streets imagining how the lords and peasants in the middle ages lived. It's possible to spend several hours in this charming medieval town exploring the main street and side alleys. We spent the entire afternoon. Stay on the lookout for quirky details, delicate flowers, sweet scents, and sun-filled stones. It's all there, like a poem in the making. As most perched villages, Tourrettes sur Loup is not very big, but it's so poetic that size doesn't count here. It all intertwines forming a labyrinth of beauty around every stone. For over a century residents have cultivated violets and to this day people everywhere refer to this medieval village as the village of violets (Cité des Violettes). The small museum dedicated to this flower explains its history and in March they celebrate the violet at the flower festival ! Queue up for some violet ice cream or buy some crystalized violet candy to take back home as an original gift. Stroll through tiny art galleries and admire the handmade crafts sold in small shops. Enjoy a delicious meal in one of the village's typical restaurants or like us, stop in a small snack shop for a more local taste. This french medieval village is a gem to explore alone or with family and friends. Lose yourself in the peaceful and soothing views that stretch beyond the ramparts over wooded hills towards the mediterranean sea. Gel a glimpse of the green countryside and the valley below where fig trees grow naturally everywhere. 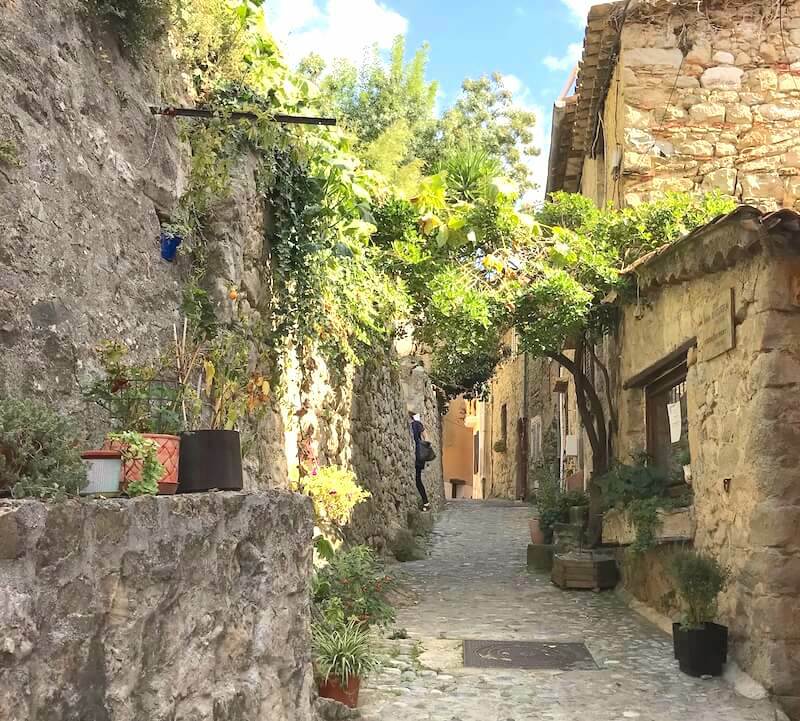 Tourrettes Sur Loup is located about 40km from Nice. There is a car park in front of the church and the village entrance is on the far right. This small medieval village rises up from a rocky mountain and remains suspended on its edge as if by magic. 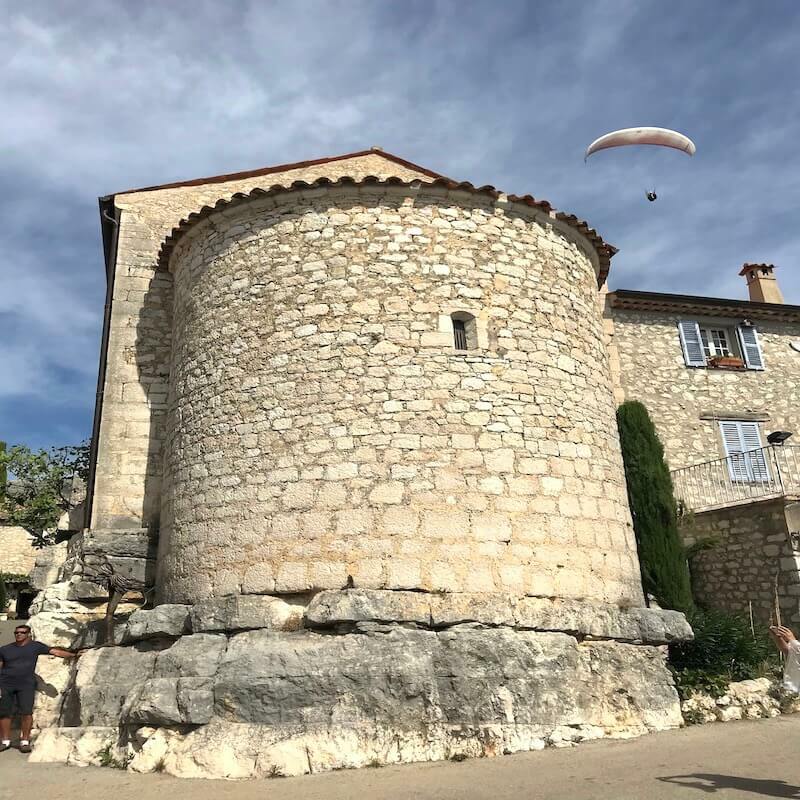 For this reason, it's labeled one of the most beautiful villages in France and people call it the Eagle's Nest because of the spectacular view. 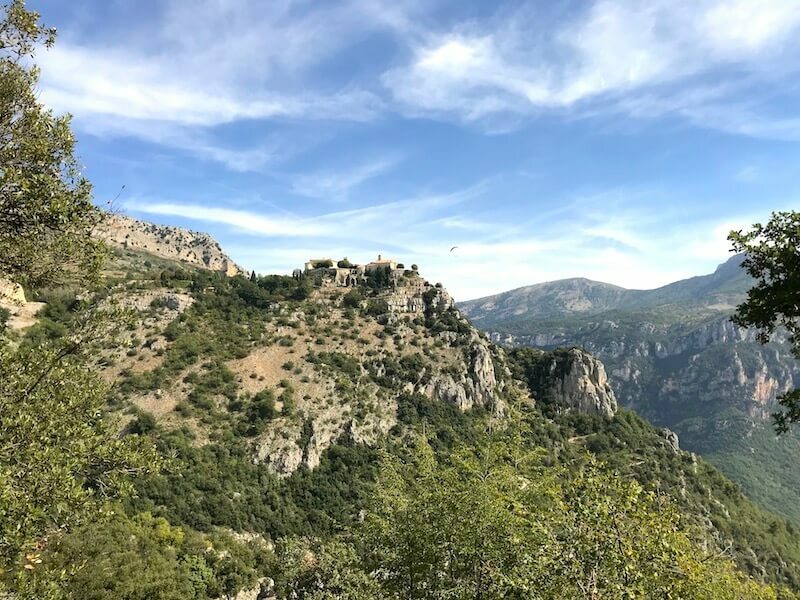 Getting to Gourdon involves maneuvering some tight twists and turns, but the tradeoff is an amazing green and rocky view of the valley below. You know you're almost there when you see clusters of houses sandwiched together that touch the sky. The fortified ramparts and the 9-14th-century castle served their purpose through WWII. They were strategically built during times of conflict to protect and alert in case of invaders. Although very strong symbols, the medieval village of Gourdon was almost forgotten. Who would have thought that years later it would attract so many people? Gourdon's reputation of being the perfect ideal of what a French village should look like, may be true. Like a masters painting, everything is in the right place and its beauty never ages. But the real reason people come here is the incredible view. Admire the panorama from the best spot in the village: Place Victoria, (named after Queen Victoria who stayed here in the 1800's). Paraglide your way through blue skies and be a part of the view, or just take a very short walk to the end of the main street. After passing the quaint restaurants and small shops, we went up to the stone barrier and just breathed it all in. The low stone wall prevents admirers from falling into the Valley of Wolves. 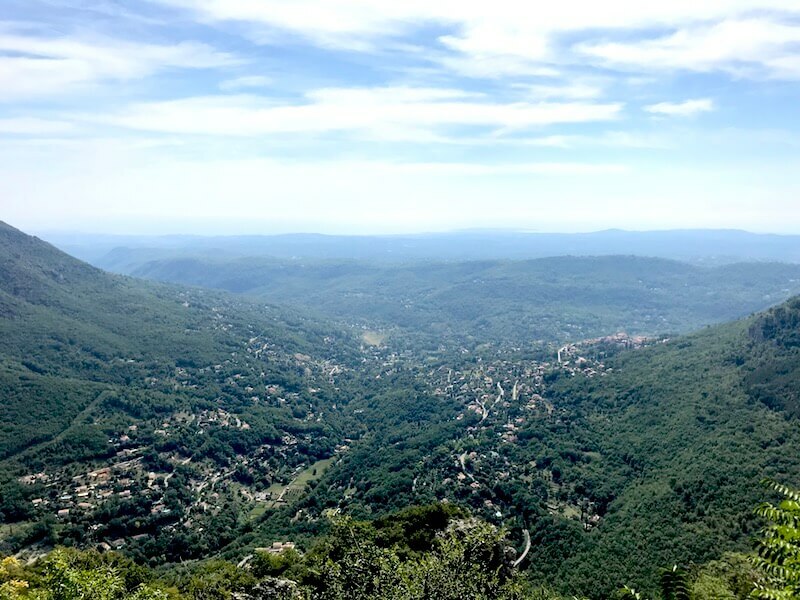 Sweeping views across the valley below and into the Cote d'Azur horizon. Almost 180 degrees. That's a big stretch and the key reason so many people flock here year round. Spend a couple of hours walking the immaculate streets which gently slope up, then back down, and admire the beautifully restored facades full or charm. There are under 500 residents who live here year round. Many families who have homes here come on weekends or during the summer to get away from the city. We arrived early morning to find some peace and quiet. Warning: lovers of stone houses, wooden doors, and well arranged flowered windows just take your time and get your eyes and camera ready! The beautiful French village of Gourdon is 20 km from Tourrettes Sur Loup (see above) and 40 km from Nice. There is a car park at the foot of the village, then walk up 5 minutes to the village entrance. Click to save the link. As our curiosity grows, it pushes us to explore further. Each new angle reveals beauty as well as contradictions and proves that the Cote d”Azur is a multi-faceted gem! Charming medieval villages are just one facet. For other facets, well, that's another story for another day. 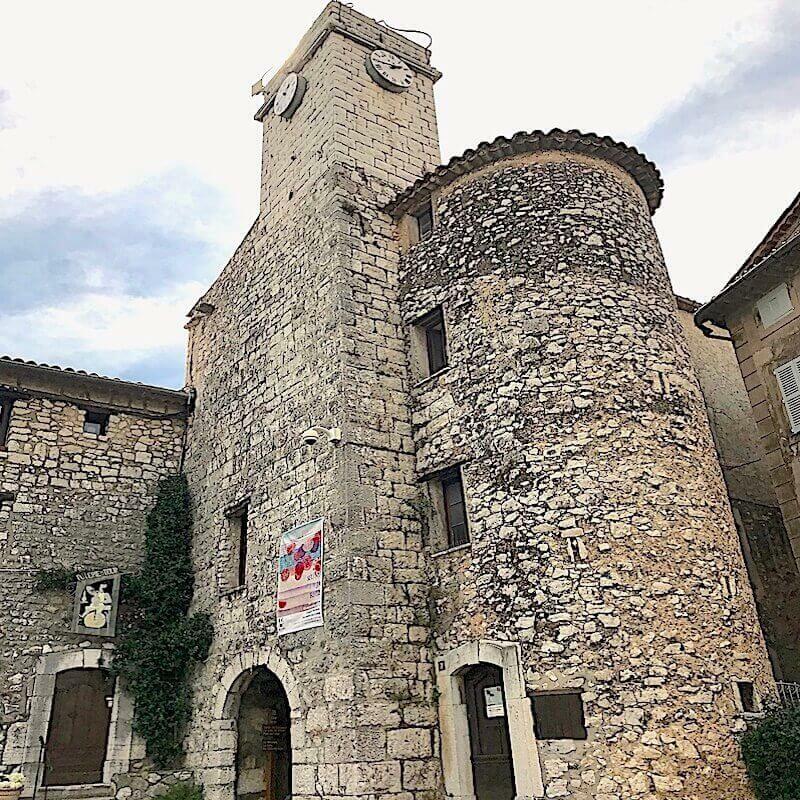 Enjoy this post on Medieval French villages? Why not save it to Pinterest for future reference. What do you consider to be the most beautiful villages of France? Have you been to the French Riviera? 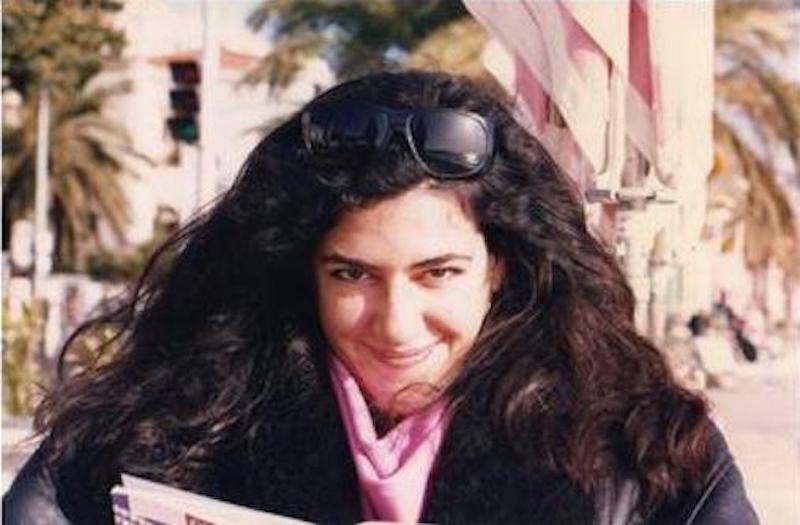 Hello my friends, I'm Karen from Urban Pax, writer, avid explorer, single mamma of teens sharing travels and life. We explore the world through our own planning and create quality time together. Currently, we live in the South of France. 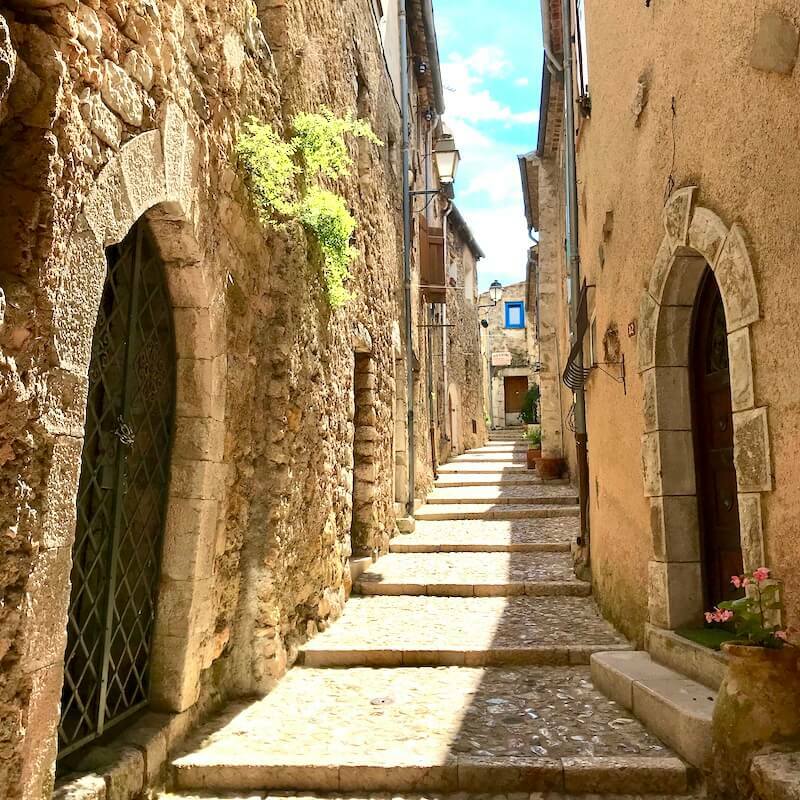 13 Responses to "Enchanting Medieval Villages in France – The French Riviera"
Beautiful photographs and a really great article on such wonderful places. Thanks for sharing we especially love Gourdon so it’s nice to see some more photos. Hi Veronika, yes Eze is beautiful! But the other villages are really worth a visit as each has its own particular charm. Make sure you get to them on your next trip! Thank you so much Simon for the kind words ! Thank you so much Simon, I hope it made you want to visit! You have written a wonderful post very helpful and interesting thank you for sharing with us. I am yet to explore France in a deeper way. Loved what you shared. Very informational.Cheers! 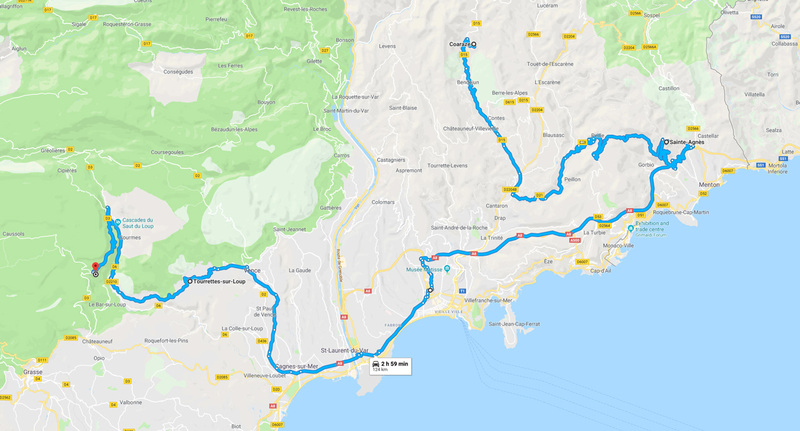 Oh wow, I’ve only been to Eze out of all these villages! I see there’s still a lot more to explore in the Cote d’Azur for me then 🙂 Thank you for the inspiration Karen! 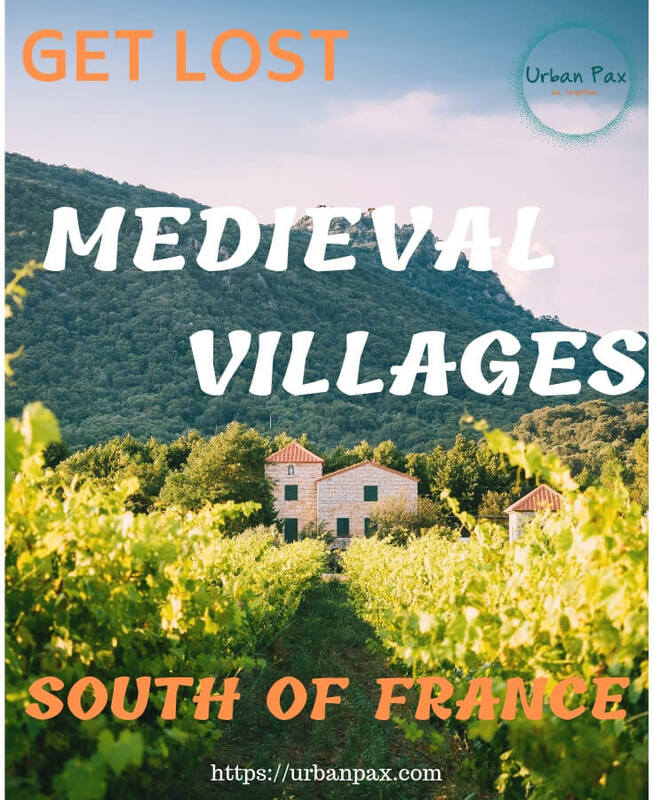 Thank you for sharing your views about Medieval Villages in France. and all the pictures are really beautiful.